Last week I had a conference in New Orleans. It was my first time in the city and I was lucky enough to have a bit of free time to explore and take pictures. Saturday afternoon I arrived in the city, checked into the Hilton Riverside Hotel (right next to the convention center). It is a great hotel for a convention, very convenient. They seem to have done some renovations recently which meant my room was pretty good. (I was in Building 1. ) I checked in, dropped my stuff in the room and immediately went out to explore (my MO). 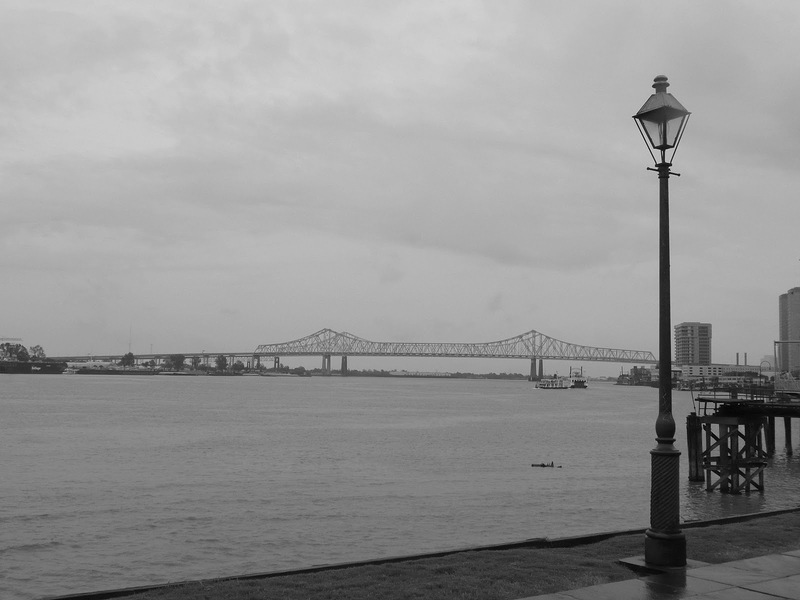 It was drizzling a bit but not too humid so I put on my raincoat and walked the Riverside Mall Shops, there was nothing too out of the ordinary there so I walked along the river front, technically called the Riverwalk, all the way to the famous Jackson Square in the French Quarter. Even with the drizzle it was bustling. 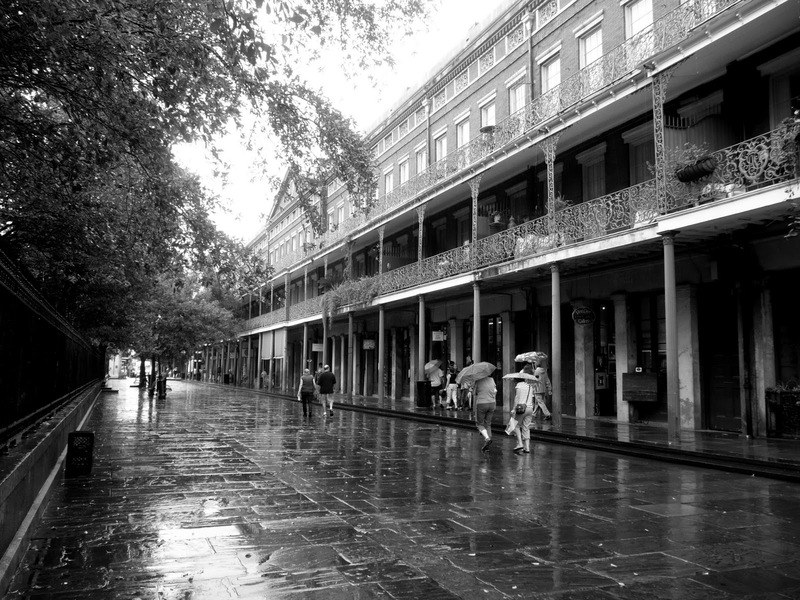 The classic view of it that you see in guidebooks and magazines was showing that day with horse and carriages, artists hanging their art on the iron fence, a wedding, amazing trees and every other tourist in the city in line at Cafe Du Monde. Seriously, the line was huge. Something you don't see every day was also going on across the street from the square, a lego competition of sorts. All of these lego displays were set up and they were pulling families off the road to have their kids do some master building while taping them. Pretty interesting. The church unfortunately was closed due to another wedding and went I went back later in the week it was also closed so I never got to see inside. After wandering around the square a bit, I headed a few blocks up to Bourbon Street...just to see. I walked east two blocks and then immediately started back south towards the square. The smell was just horrendous. It was like the worst fraternity basement you could ever imagine and then multiplied by a sewer. I have a pretty strong sense of smell so that made it even worse. It was also the middle of the afternoon and not even close to the rowdy part of a Saturday. Maybe five or six years ago I would have felt differently, but I couldn't wait to turn off down another road. Taking this route did have it's advantages though because I came across Royal Street, one block south, which is fantastic. It's touristy yes, but it has cute little shops, is cleaner and doesn't smell. 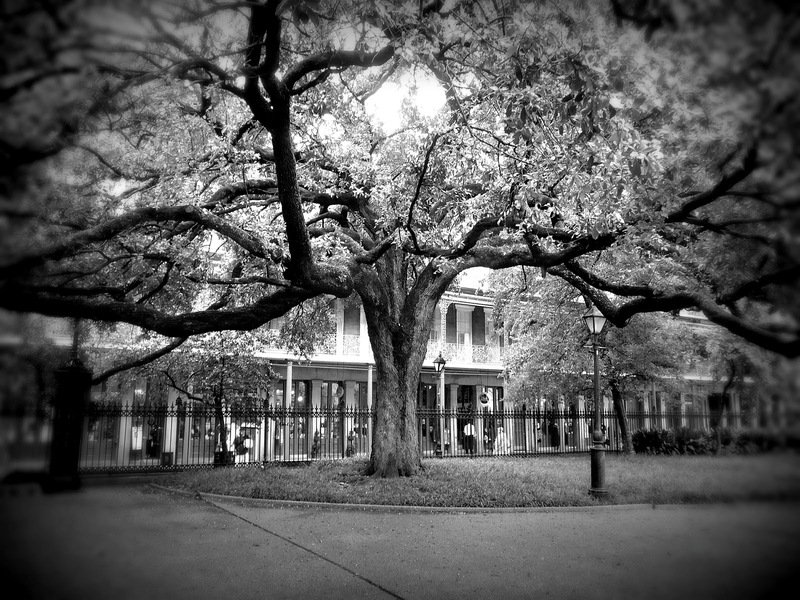 I walked Royal for a while and then finally came south to the French Market. It's touristy, but hey I was being a tourist. I decided to try Cafe Du Monde another day in hopes that the line would be shorter. I travel for the love of it. The beauty, the smell, the food, the people, the sunsets. I blog when I can and like to offer detailed information that I wished I had had at the time. I teach yoga and enjoy photography, reading and exploring. Ko Tao to Krabi, Thailand - A boat, a bus and a taxi. The slow boat to Laos and a new border crossing. All Content is the Property of ihavethewanders.com unless otherwise stated. . Powered by Blogger.